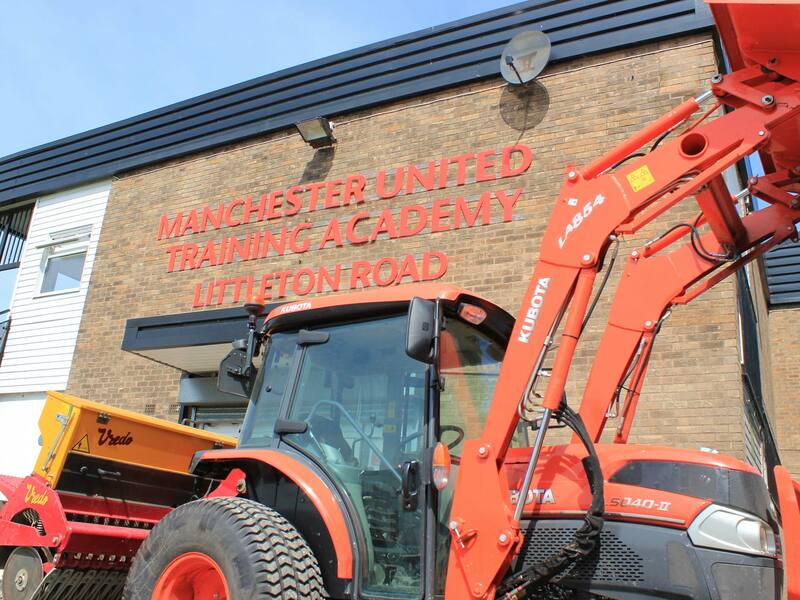 We have just completed the end of season renovation at the Littleton Road training facility. 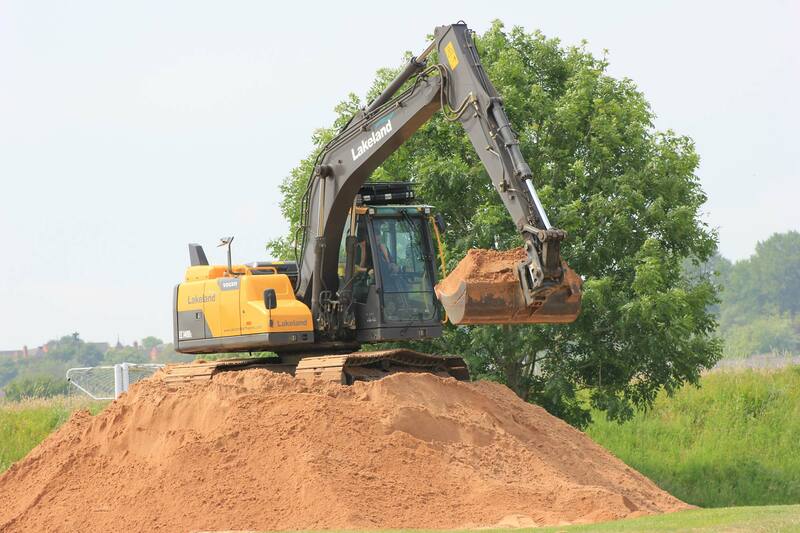 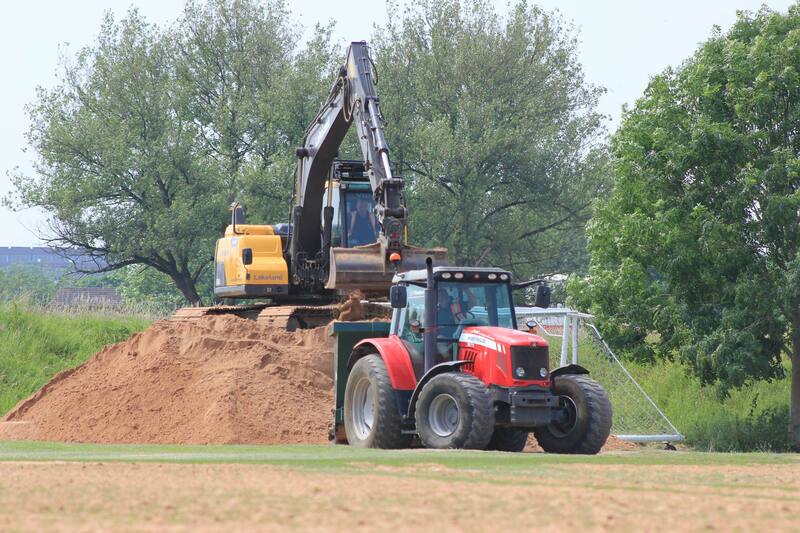 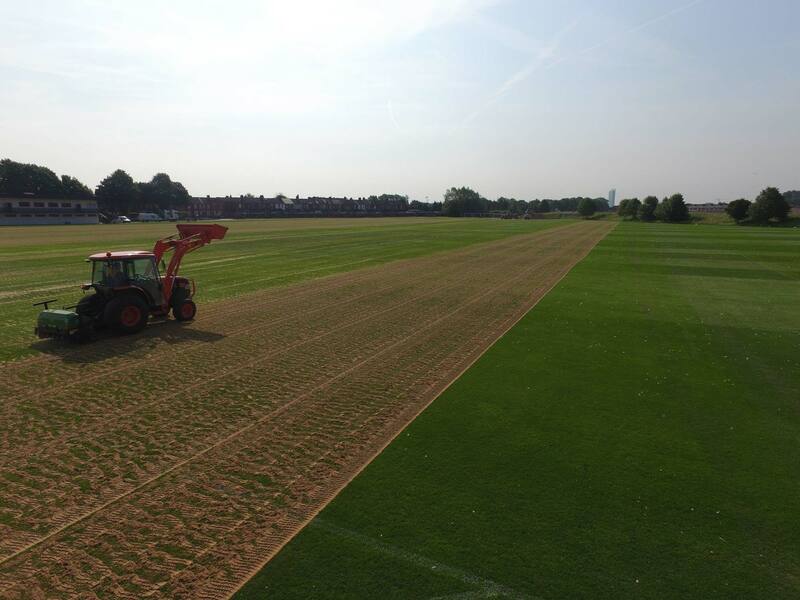 4T of Profile was spread, a porous soil amendment that helps to reduce compaction and improve soil aeration and drainage. 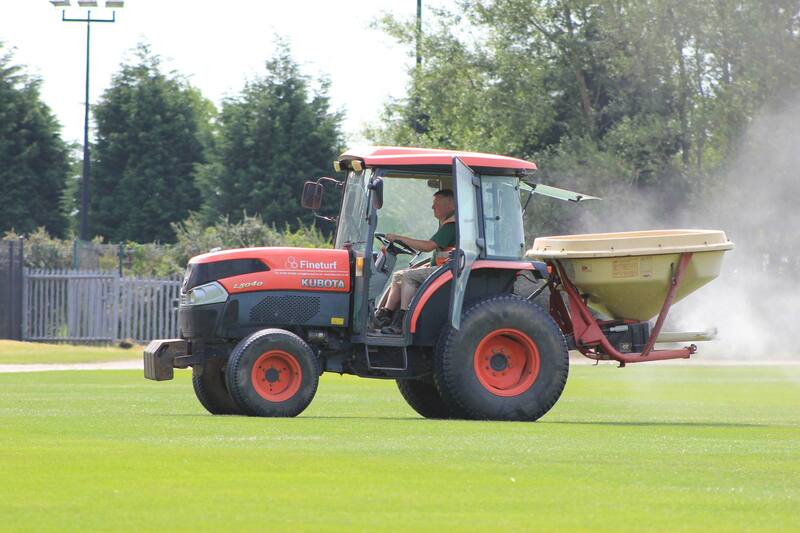 600T of sports sand was then applied. 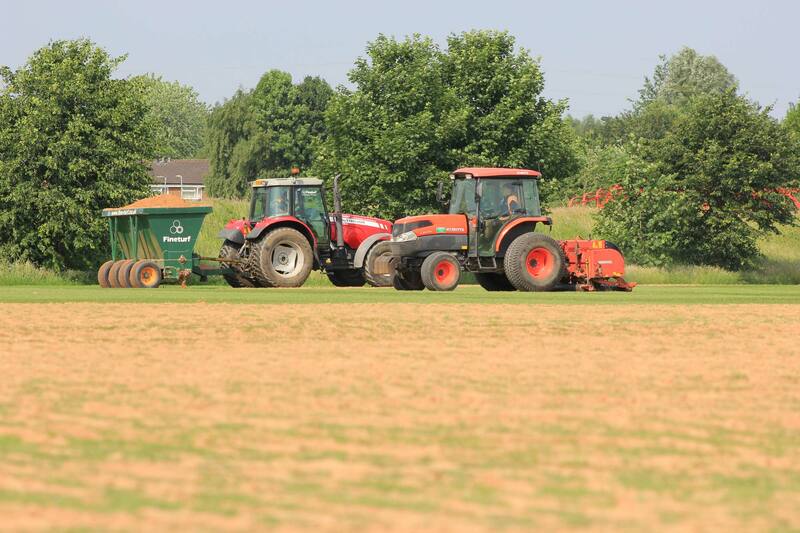 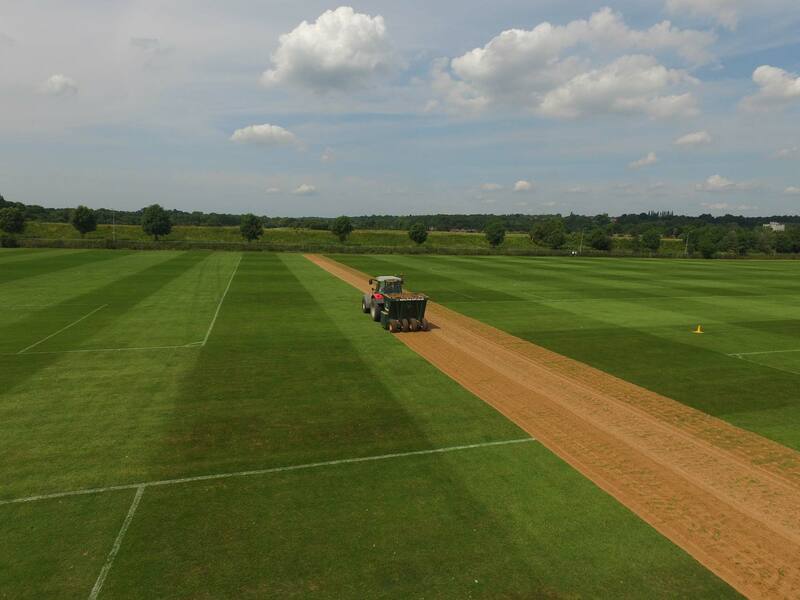 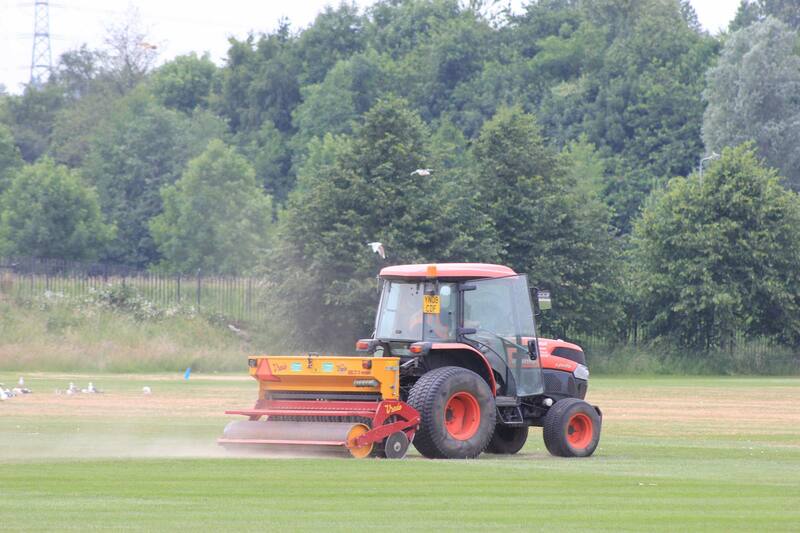 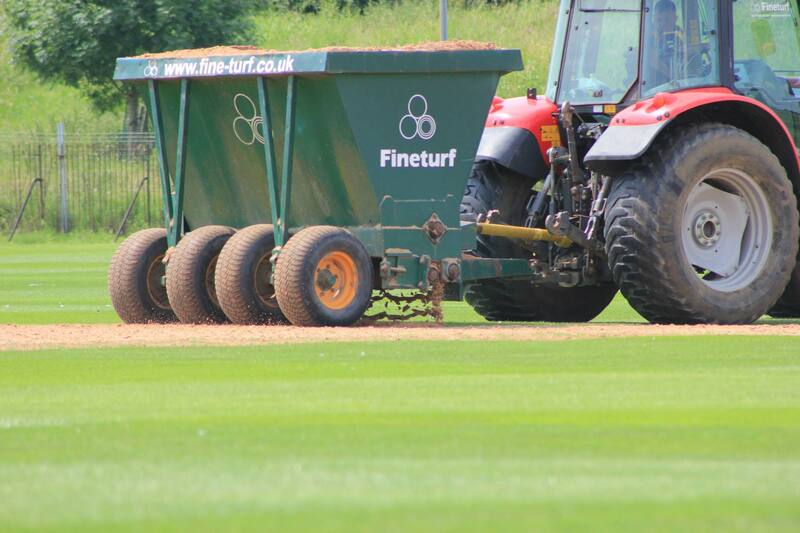 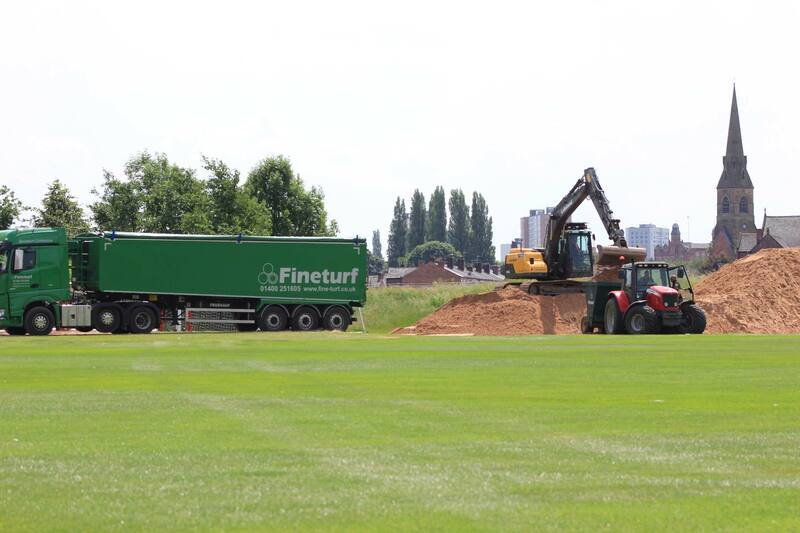 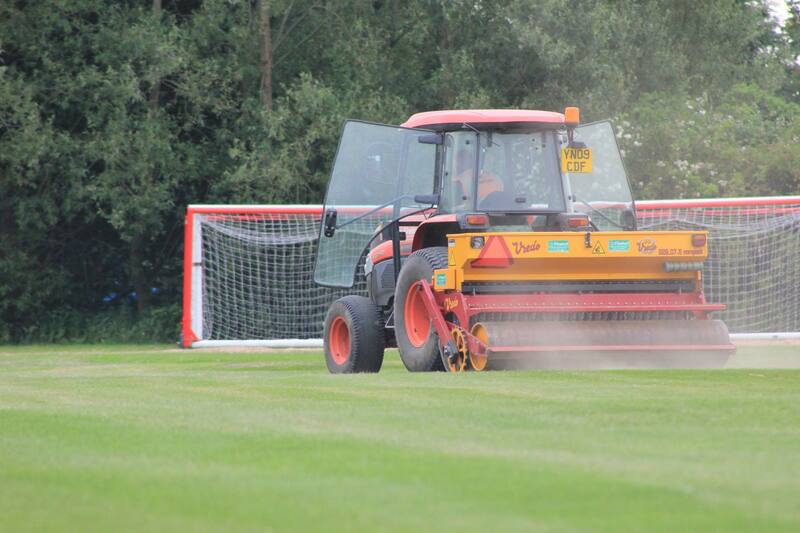 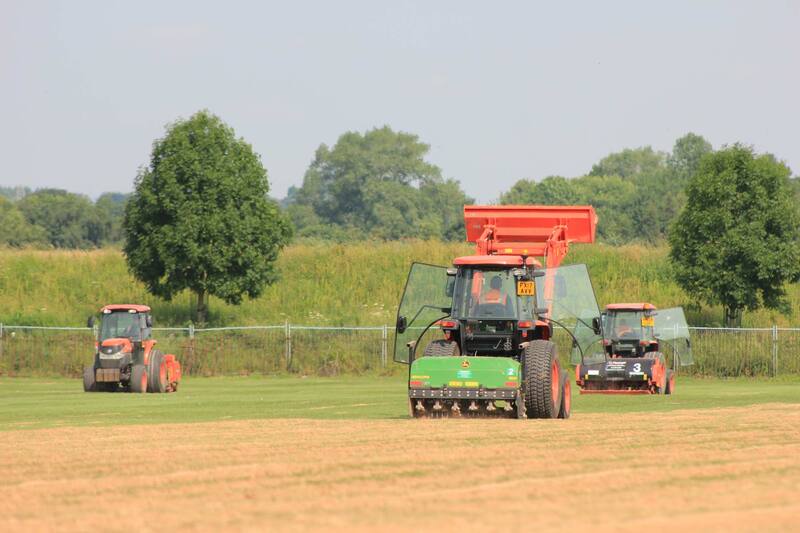 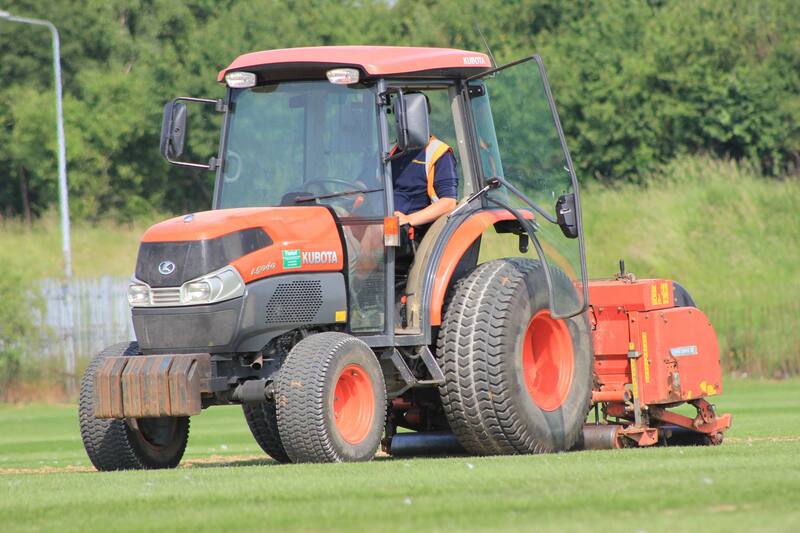 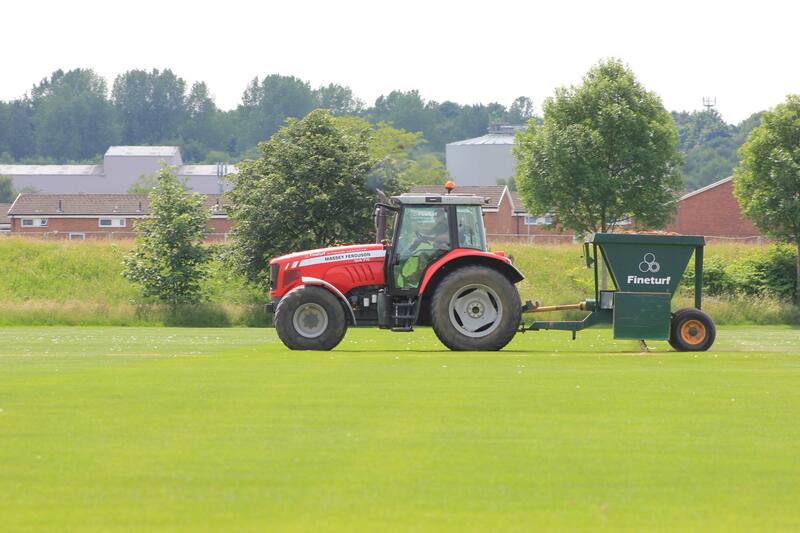 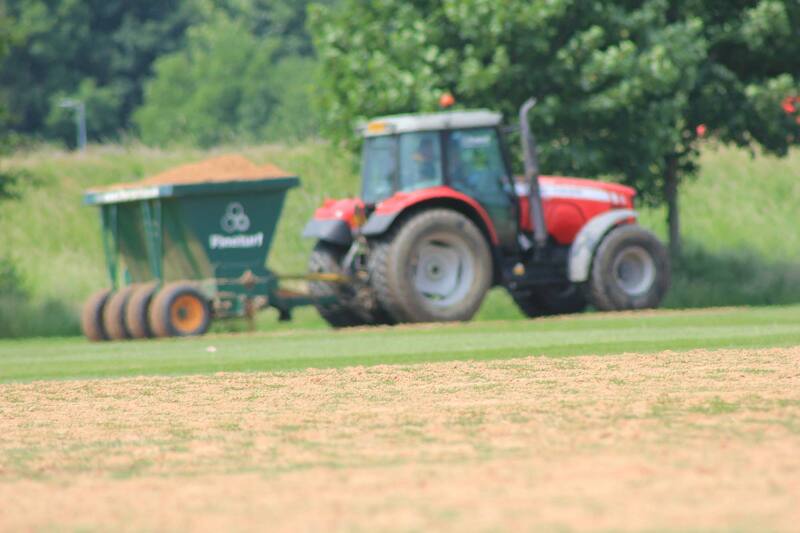 The pitches were aerated using two Wiedenmann’s fitted with solid tines and a John Deere Aercore fitted with hollow tines. 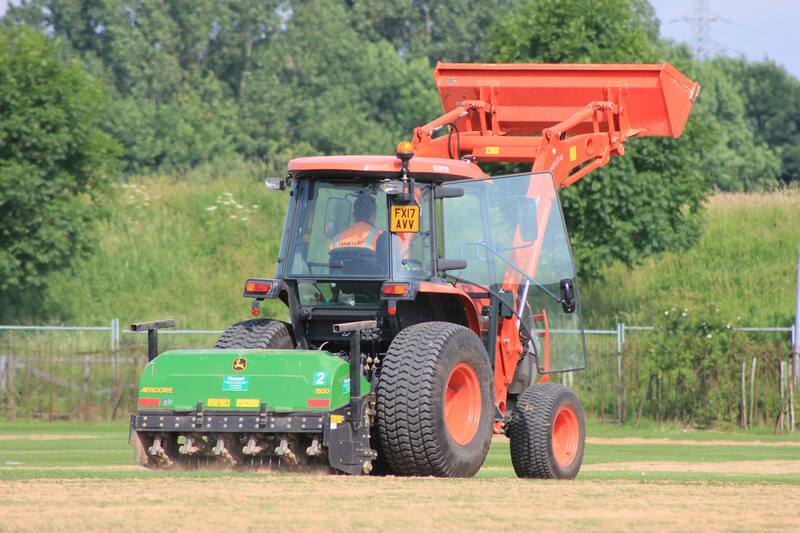 MM60 was sown in 4 directions with a disc seeder and in 1 direction with a dimple seeder. 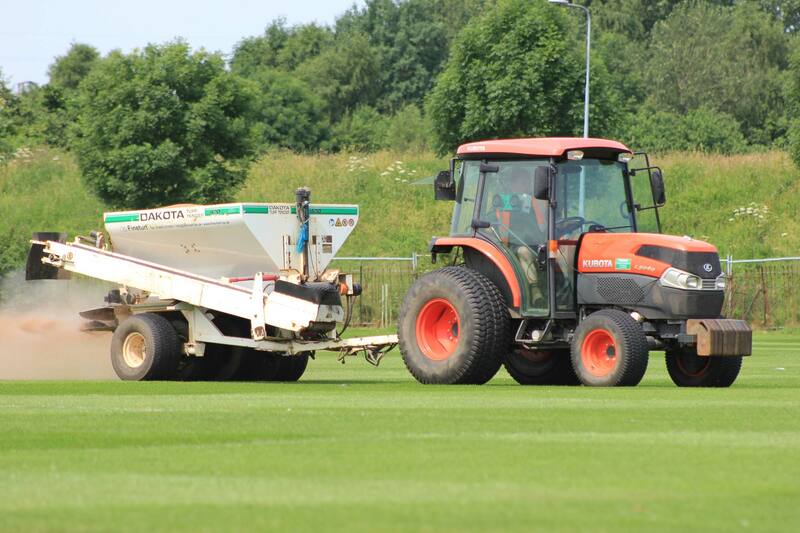 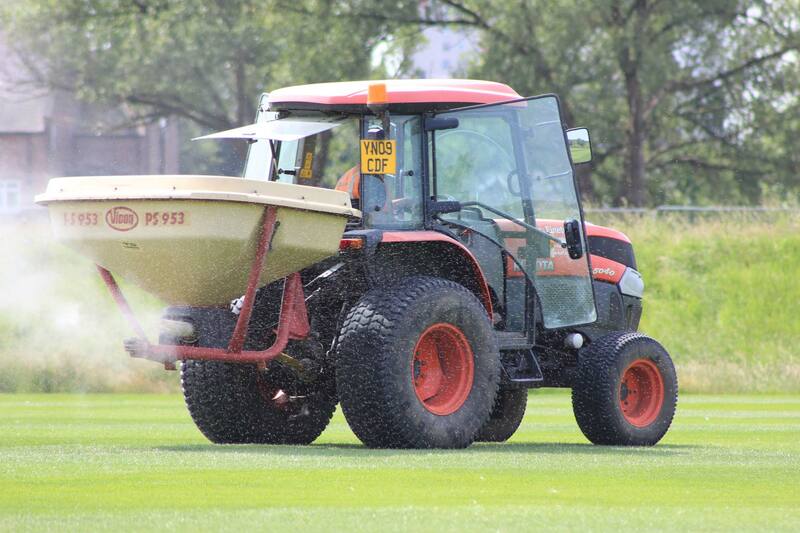 A pre seeder fertiliser was also applied.